Bhavishya Purana (Sanskrit: भविष्य पुराण) is one of the eighteen major Hindu Puranas. It is written in Sanskrit and attributed to Sage Veda Vyas, though it was rewritten many times in later generations. Title of the book signifies a work that contains prophecies regarding the future (bhavishya). It is one of several Puranas in which a list of royal dynasties of the “past” are followed by lists of kings predicted to rule in the future. Padma Purana categorizes Bhavishya Purana as a Rajas Purana (Purana which represents passion). The Pratisargaparvan part, has nominally mentioned stories about Adam, Noah, Yākuta, Taimurlong, Nadir Shah, Akbar, Jesus Christ, Prophet Muhammad and many others. Look at the verses in the 19th chapter of the Chaturyuga Khanda Dvitiyadhyayah of the Bhavishya Purana. Translation : Once upon a time the ruler of the Sakas went towards Himatunga and in the middle of the Huna country (Hunadesh – the area near Manasa Sarovara or Kailash mountain in Western Tibet. Hunas are traditionally known as chinese race), the powerful king saw an auspicious man who was living on a mountain. The man’s complexion was golden and his clothes were white. Isa putra said, ‘O king, when the destruction of the truth occurred, I, Masiha the prophet, came to this country of degraded people where there are no rules and regulations. Finding that fearful irreligious condition of the barbarians spreading from Mleccha-Desha, I have taken to prophethood. Please hear, Oh king, which religious principles I have established among the mlecchas. The living entity is subject to good and bad contaminations. The mind should be purified by taking recourse of proper conduct and performance of japa [meditation on the chanting of the holy names of God]. By chanting the holy names one attains the highest purity. Just as the immovable sun attracts, from all directions, the elements of all living beings, the Lord of the Surya Mandala [solar planet], who is fixed and all-attractive, and attracts the hearts of all living creatures. Thus by following rules, speaking truthful words, by mental harmony and by meditation, Oh descendant of Manu, one should worship that immovable Lord. Having placed the eternally pure and auspicious form of the Supreme Lord in my heart, O protector of the earth planet, I preached these principles through the mlecchas’ own faith and thus my name became ‘isa-masiha’’. After hearing these words and paying obeisances to that person who is worshiped by the wicked, the king humbly requested him to stay there in the dreadful land of mlecchas. King Shalivahana, after leaving his kingdom performed an aswamedha yajna (horse scarifice) and after ruling for sixty years, went to heaven. But, the same Bhavishya Purana describes about Prophet Muhammad as a reincarnation of demon Mahamada, who is inturn a reincarnation of the guru of Tripurasuras, who were killed by Lord Siva. Even if it is believed that Jesus traveled to India, and he did study under the Vedic brahmins and priests before returning to his homeland to preach, it can’t be believed that he was buried in Kashmir. All this tampering of Purana seems to have been done to please rulers of Kashmir and the British. The tampered Bhavishya Purana describes how Jesus would visit Varanasi and other Hindu and Buddhist holy places. It was the thought of Ahmadiyya Muslims in kashmir that Jesus Christ was mortal and would never come back. According to the late 19th Century writings of Mirza Ghulam Ahmad, the founder of the Ahmadiyya movement, the theological basis of the Ahmadi belief is that Jesus was only “in a swoon” when he was taken down from the cross. Mirza Ghulam Ahmad interpreted the phrase in Deuteronomy 21:31: kī qilelat Elohim taluy, “… for a hanged man is the curse of God”, as suggesting that “God would never allow one of His true prophets to be brutally killed in such a degrading manner as crucifixion“. Following his ordeal, Jesus was cured of his wounds with a special ointment known as the ‘ointment of Jesus’ (marham-i ʿIsā). 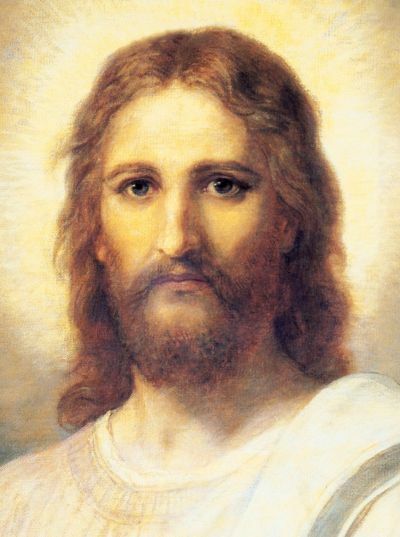 In Masih Hindustan-mein (Jesus in India Urdu 1899, English 1978) Ahmad claimed that after his Resurrection from the tomb, Jesus fled Palestine to avoid recapture and journeyed towards India. He later settled in (what is now) Kashmir where he died a natural death of old age, and was laid to rest in Srinagar, Kashmir. Ahmad made use of local traditions in Kashmir, found from the 16th Century, which relocate the Muslim version of the story of Budasaf and his death in Kushinara, to Yudasaf or Yuzasaf and his death in Kashmir. According to Ahmadiyya teaching the Roza Bal tomb in Srinagar, which contains the grave of holy man known as Yuz Asaf is actually the tomb of Jesus of Nazareth. If this was believed by christians, then Srinagar would be more popular than Vatican City or Jerusalem ! But no christian bothered about it. The Mainstream Muslims fought back, saying that the Ahmadiyyas were NOT Muslims. But, the Ahmadiyyas still wanted to be considered Muslims. To this day the Ahmadiyyas have been severely hated and persecuted by other Muslims as kafirs, apostates and blasphemers who offend the ‘Prophet’ of Islam. ShriPaadha ShriVallabha श्रीपाद श्रीवल्लभ (Telugu: శ్రీ పాద శ్రీ వల్లభ)(ShriPaadha ShriVallabha)(Tamil:ஸ்ரீ பாத ஸ்ரீ வல்லபா) is considered as one of the Avatars (incarnations) of the deity Shri Dattatreya in kaliyuga. He lived in early 14th century in places of Andhra Pradesh and Karnataka, India. According to him, Jesus Christ was a reincarnate of Dhruva, a young kid mentioned in the Bhagavata Purana who performs penance to Vishnu at a very tender age of 5 and worships him as his father. The Lord pleased with his penance grants him permanent residence in the highest of the highest heavens in the Brahmaanda, called the Dhruva loka, which is why Jesus as his reincarnate shows paternal love towards the almighty and affirms his disciples residence in his heaven, the DhruvaLoka upon living a virtuous life as suggested by him. The Goddess Maaya during the birth of Krishna, at an other time also worshipped as Kanyaka Parameshwari (Virgin goddess) has reincarnated as Mary, the mother of Jesus Christ. This is why Jesus being a very highly elevated soul, a divine incarnate was born unlike the other prophets. He has free of sins though being born in the mleccha race because he is not born out of sexual union. One cannot understand what can be achieved by tampering puranas and inserting these stories. It cannot be a thought of hindu priests, as they didn’t give publicity to this story and tried to stop hindus from being converted to christianty. They could have easily quoted that Jesus Christ did not die on cross and lived in india by learning vedic practices and thus christ would have also been termed as vedic hindu guru. This would make all christians convert to hinduism. But, no such effort was made. If this was done by christians during british rule, then it would send wrong message to christians that Jesus Christ followed vedic dharma in India. Clearly, this tampering was done by someone who wanted to please kashmir king and make Srinagar a holy place for all christians. But in their effort, they did little too much and failed.